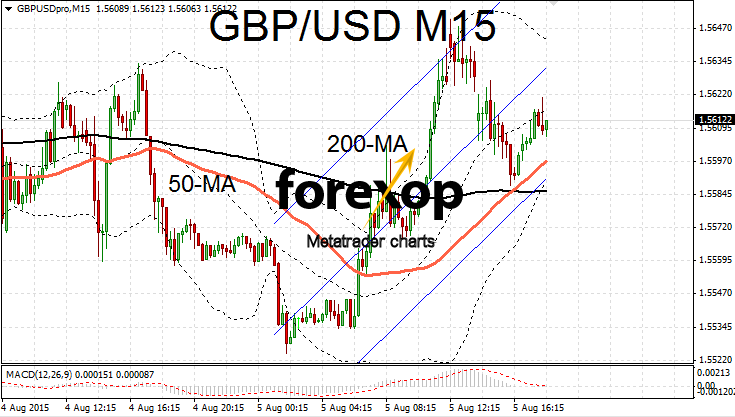 GBP/USD gained support from the weaker jobs numbers out of the US today. 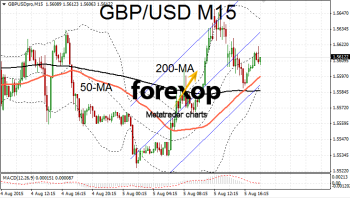 Cable was trading just above 1.56 for much of the day despite reaching an intraday higher towards the middle of the 1.56 area. The pair spent much of the day between the first support and resistance pivot levels at 1.5585 and 1.5613 respectively. A raft of important data on the UK economy as well as releases from the US kept markets consolidating around current levels. The Bank of England monetary policy committee (MPC) will meet on Thursday, announce its decision and release the minutes all on the same day. This will be the first time ever that the MPC has released minutes the on the day of the rate decision. Interest rates are expected to be kept on hold at 0.5% but the additional data could cause some volatility. Data will also be released on the industrial sector and later there will be the latest GDP estimates from NIESR – widely expected to show the UK economy will maintain 2.5% growth for the year. Wednesday also saw some disappointing results from the UK’s dominant services sector. The final purchasing managers’ index for July fell to 57.4 missing the expected number of 58. While the service sector continues to expand strongly the pace appears to have slowed somewhat. The report also showed a slowdown in hiring across the industry. Another cause for concern in the report was that the economy remains reliant on financial services with other industries showing slower growth. GBP/JPY saw its strongest rally in nearly three weeks. The pair jumped one percent to 194.75. The yen sold off late in the session on concerns around forthcoming announcements from the Bank of Japan. Further quantitative easing remains on the table and could be rolled out if the inflation targets are not met. Japanese official also continue to send mixed signals on their policy on a weaker yen.